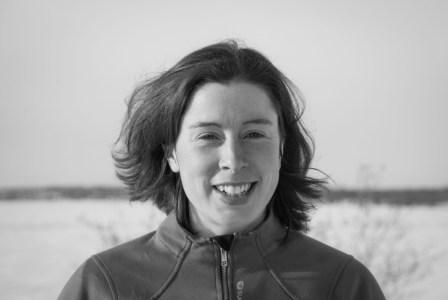 Shauna Morgan leads the Pembina Institute’s northern program, based in Yellowknife. She was born and raised near Barrie, Ontario but moved to Yellowknife in 2008 and is here to stay. She has been working with First Nations in the Dehcho and Sahtu regions on a variety of projects, including assessments of environmental and socio-economic impacts from oil & gas and mining projects, as well as assessments of proposed Protected Areas. Her focus has been on supporting First Nations to collect the information they need to make the best decisions they can about their lands and resources. She has also worked with communities to look at climate change impacts and adaptation opportunities. Shauna has a B.A. (Hons) in International Development Studies (Coop) from the University of Toronto, which included a one-year internship in the Philippines working with indigenous and rural communities. Shauna completed an M.A. in International Affairs from Carleton University. In her free time, Shauna enjoys outdoor activities during all seasons, including cycling, cross-country skiing, paddling, running, gardening, and collecting berries and other wild foods.